In Auckland, Mission Bay is comprised of white-sand beaches and a lively promenade with restaurants and cafes each more stylish than the last. There's a lot to do here, including adventure activities, dining delights and exciting attractions. Keep active while on holiday and head to Tamaki Drive. Here you can go rollerblading, jogging or hire a bicycle. If you've got your kids in tow, there's a playground right by to the beach that will set their imagination alight. If you're here to indulge in the food, you'll be overwhelmed by choice. For Italian cuisine, try Andrea Ristorante, authentic Mexican can be found at Dos Amigos and delicious sweet treats are served up at Movenpick – The Art of Swiss Ice Cream. Sydney has many beautiful beaches that are bordered by the city. Manly has the harbour beach on one side and the popular surfing spot Pacific Ocean beach on the other. This area oozes a relaxed atmosphere with many top eateries and places to shop. Manly Sealife Sanctuary and Manly Art Gallery and Museum are great additions to your sightseeing list as you can learn more about the history of the area as well as the abundant marine wildlife. Bondi Beach is simply stunning, and is home to some of the best cafes and surfing waves in Sydney. Book yourself a surfing lesson and take to the waves, or hit the streets for some shopping. The main thoroughfare is Campbell Parade, and it's here you'll find surf shops, fish n' chip shops and quirky cafes like Atlas Kiosk. Brazil's Rio de Janeiro is known for its vivid beach culture – the colour of the city spills out onto the sand and sea. Some beaches are very popular and attract people from around the world, while others are more secluded. 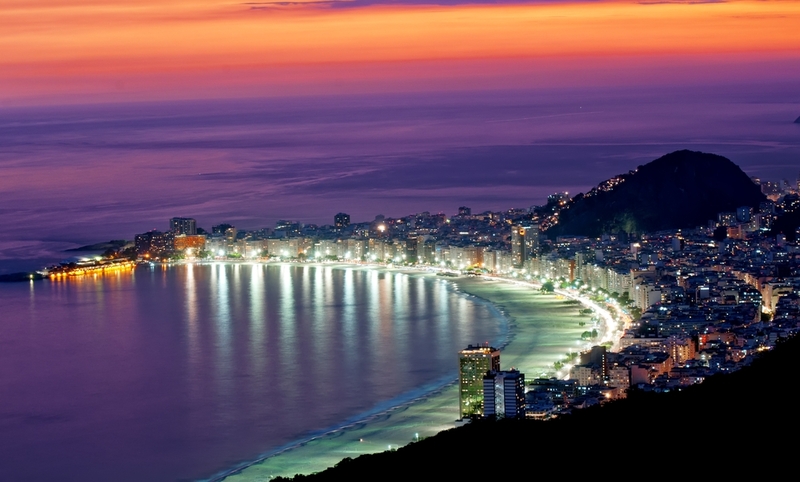 Copacabana is the main beach in Rio de Janeiro and has many great attractions for visitors. If you're looking for a place to grab some lunch, Confeitaria Colombo is on the Fort of Copacabana and has fabulous food and views of the sea. In the same area, check out Museu Historico do Exercito, where you'll see old military defence pieces. If you're after another historical site, Fort of Leme is at the opposite end of the beach on top of a hill and offers panoramic views of the beach. The beaches of Dubai are as bright and energetic as the city itself. The sand is often crowded with people playing beach games like volleyball, enjoying a picnic or swimming in the sea. At some of the beaches you will have to pay an entrance fee – this goes toward providing facilities and keeping the area clean. Some of the top beaches are Mazer Beach park, which is huge and beautiful, Jumeirah Beach Park which has grassy areas and palm trees making it a great place for a picnic, and Kite Beach, where kite surfers from around the globe partake in this sport. Nice, France, is a top holiday destination with many private and public beaches that will take your breath away. Paloma Beach on the peninsula Saint-Jean-Cap-Ferrat is one you must see. This beach takes you away from the busy city and provides you with a calming place where you can relax. If you do feel like having an adventure, you can organise to take part in watersports such as wake boarding, jet-skiing or water skiing. Finish your day at one of the many restaurants, such as Plage Restaurant that specialises in fresh seafood. When you're deciding on your holiday destination for this season, check out these top cities that are right on the beach. Each one offers the delights of the sea and sand, as well as the many attractions and opportunities that can be found in bustling cities.